HawksCode share a vast knowledge in C++ and C#. We do development web and desktop applications by relying on core C family language. We work with efficiency, networking and otpimized performance. HawksCode team consist of professional experts who are very much into the development of the data management, sysytem management or file management kind of products. All the applications are developed by us are very well tested and done by the team of professional with experience of more than 7 years. We not just invest in the products we also make invest into our developers. We care about their skills and practices. We do experience sharing and quality test of standard codes, this practise keep our standard and quality up to the mark. 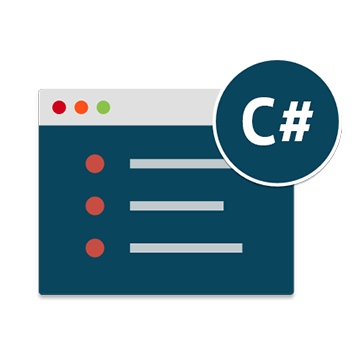 In an attempt to dually serve server side and client side web based applications, C++ development outsourcing India pools C++ and ASP.Net. With an excellent grasp not only in the programming language but also in writing clean and easy to implement source code, the developers are supremely dedicated to offer clients the most effective of solutions. We have development team that take pleasure with making custome solution for you with application those are ranging from desktop to embedded. All the solutions are well tested that they will get executed in lesser time. We have team capable of developing application and software those can detect media files (file manager, viewer). Not only these our team can develop cross platform application developed on the base of the C family language. These application is not just made for desktop system we are making it perfect different resolutions. We make product those are state of art. By this we are essuring that all the product that you are made well with good quality and precision. The successful candidate will form an integral part of the systems development life cycle, working in a high pressured and fast pace environment building new application and redesigning legacy software.